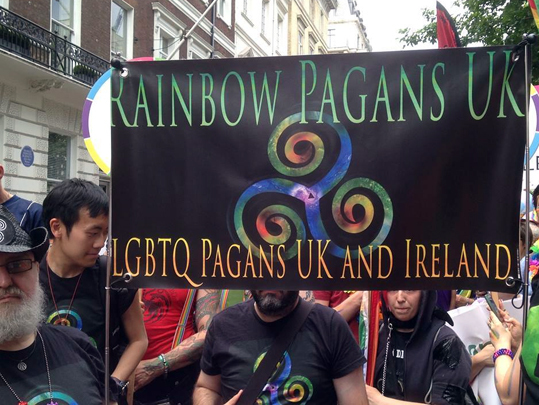 Here is a picture of the Rainbow Pagans banner at the Pride in London Parade 2017, which is the biggest LGBT+ parade in the UK. I really wanted to go on the march myself, but couldn't because I was teaching a candle magic workshop at Treadwell's bookshop that day. Yvonne Aburrow, the author of All Acts of Love and Pleasure: Inclusive Wicca, took this photo at Pride and gave me permission to share it on my blog. Thanks very much Yvonne! The photo is copyright Yvonne Aburrow.